Do You Need an Engine Block Heater? Car block heaters are pretty much unheard of in sunnier climes. Even if you live in an area where engine block heaters are ubiquitous, they aren't exactly exciting. Block heaters are very much an out of sight out of mind type of technology. In most cases you wouldn’t ever know a car had one installed without seeing the telltale electrical plug hanging through the grill. But as the mercury begins to plunge each year, it becomes clear why block heaters are the unsung heroes of the frozen north. Do You Need a Block Heater? Block heaters aren't necessary in temperate areas. If you live in an area where you see freezing temperatures in the winter, but a hard freeze is rare, you'll probably get more use out of a remote starter than a block heater. When you live in a colder area, finding and installing the right engine block heater can be extremely important. 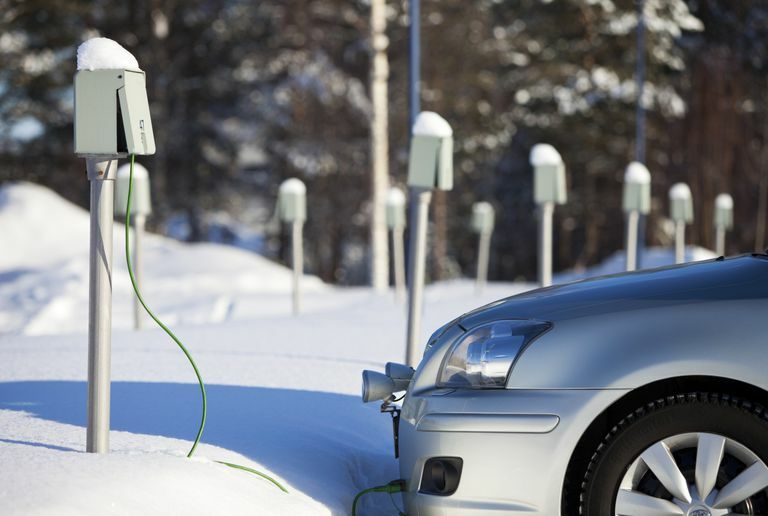 What is an Engine Block Heater? Block heaters are engine-heating devices that are designed to warm up an engine, and the relevant fluids, prior to starting it. Depending on exactly how cold the surrounding environment is, this can accomplish a number of useful tasks. The main purpose of an engine block heater is to make it easier to start the engine, but preheating the engine oil, antifreeze, and internal engine components also reduces wear and tear, reduces emissions, and makes for a more comfortable environment inside the vehicle by allowing the heater to blow hot sooner. In the coldest of environments, where the temperatures dip below the freezing point of the water/antifreeze mixture in an engine, block heaters can also keep the engine coolant liquid overnight and prevent catastrophic engine damage. Location: Installed in place of the oil dipstick. How it works: Heats the oil directly. Location: Installed on top of the engine or attached to the inside of the hood. How it works: Like a heavy duty electric blanket. Location: Bolted onto the oil pan or attached via magnets. How it works: Heats the oil indirectly by heating the pan. Location: Installed in-line with a radiator hose. How it works: Heats the engine coolant directly. Circulating versions include a pump that cycles warm coolant through the engine. Non-circulating versions are less complicated but also less effective. Location: Bolted to the exterior of the engine. How it works: Heats the engine through direct contact, which indirectly heats the engine coolant. Location: Installed in place of a freeze plug in the engine block. How it works: Heats the coolant directly. Installation: Difficult / Very difficult. Easy installations require no tools or particular expertise, and these block heaters can just be inserted or placed in the appropriate location. Difficult installations require tools and some knowledge about cars, and it's best to leave very difficult installations to the pros. Some block heaters are easy to install and move from one vehicle to another, like blanket style heaters and the ones that are designed to replace your dipstick. In fact, installing a dipstick heater is no more difficult than checking your oil. Other engine block heaters are relatively easy to install if you know your way around a car engine, like in-line coolant heaters, while traditional freeze plug block heaters are best left to the professionals. In any case, if you do decide to install your own block heater, it’s important to remember that the one common element is that every block heater comes with an electrical cord that has to be safely routed through the engine compartment. If the cord strays too close to moving components like pulleys or belts, it can become damaged. If that happens, your block heater fail to work, or even short out, the next time you plug it in. An engine block heater should always be plugged in overnight when the temperature is forecast to drop lower than your antifreeze is capable of dealing with. However, if you find yourself parking in an area where power outlets are provided for block heaters, plugging in will result in easier starts, and less wear and tear on your engine, even when you aren’t parking overnight. In situations where it doesn’t get cold enough to crack your block, you can usually save some money on electricity by using a timer. By setting the timer to kick your block heater on a few hours before your commute each morning, you’ll avoid wasting electricity overnight, but you’ll still see the benefits of an easier start, less wear on the engine, and hot air from your vents much sooner.